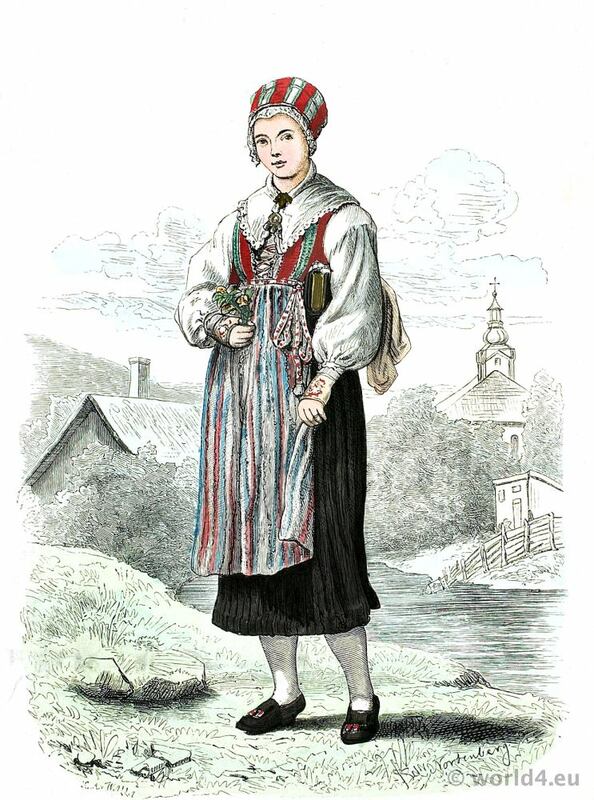 Girl from Leksand in Dalecarlia, Dalarna, Sweden 1880. Read more: Travelling sketches in Russia and Sweden during the years 1805, 1806, 1807, 1808. By Robert Ker Porter. This entry was posted in 1880, 19th Century, Scandinavia, Sweden, Traditional and tagged Lipperheide, Traditional Sweden Costumes on 10/1/14 by world4.